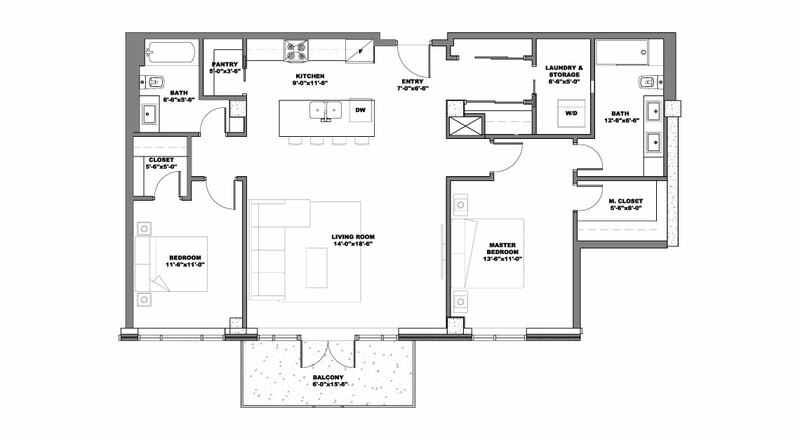 A brilliant south-facing 2 bedroom condominium on The Keep’s second floor that steps onto 7200 sq.ft. of rooftop terrace; fully equipped with your most practical luxuries and designed for a full range of lifestyles. The high-end kitchen is appointed with a magnificent centre island, quartz countertops, soft-close drawers and cabinets to the ceiling. Enjoy ample kitchen storage with lots of drawers and your own walk-in pantry. The living room and dining area were designed with the whole family in mind and offer incredible comfort with lots of light and raised ceilings. This condominium is capped off with a full master suite that includes a walk-in closet and full ensuite; a second bedroom, full bathroom and your own private balcony that opens up to 7200 sq.ft. of rooftop terrace. Just steps away from the fitness area and amenities room.